When Shopping for Accent Furniture to go in your home or office, make sure to look this page over. We have beautiful high quality pieces that are sure to be perfect for your needs. Chcek out the individual decorator tips with each item for suggestions on ways to use them. For Every Room of YOUR Home or Office! 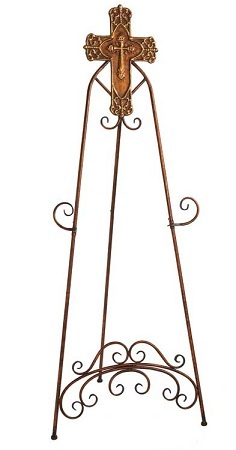 3 Styles of Decorative and Functional Coat Racks - one low price! DECORATOR TIP - Using these decorative and attractive Coat Racks Help to cut down on clutter from coats and accessories that get tossed down anywhere. Use,them to hold coats, hats, scarfs etc that are worn on a daily bases. For easy access by family members and guests place one coat rack in your foyer and another in YOUR Laundry room. DECORATOR TIP - Place a large painting or framed print on this floor easel and display it in a room with lots of floorspace. 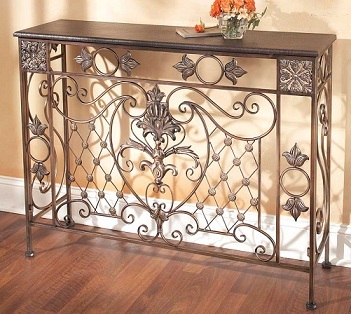 DECORATOR TIP - This console is perfect for small areas such as foyers or ends of hallways. Top it with an arrangement of fresh flowers in front of a mirror mounted on the wall. 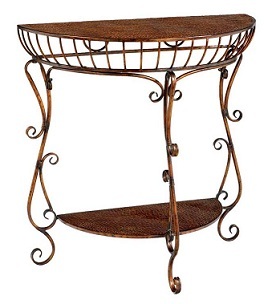 DECORATOR TIP - This iron table is both beautiful and functional. Use in it a foyer and hang a mirror over it. Or use is as a sofa table. 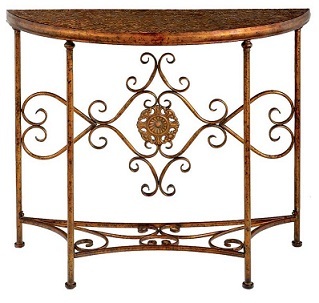 30662,HAMMERED FINISH HALF ROUND HALL TABLE. 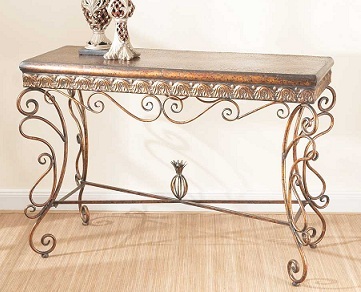 DECORATOR TIP - This rustic woven console table would be great in a small diniette area as a simple buffet. 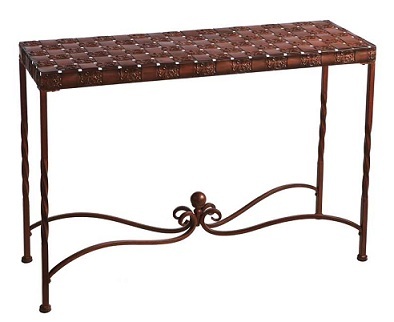 Or use it as a sofa table beind a sofa in a small room. 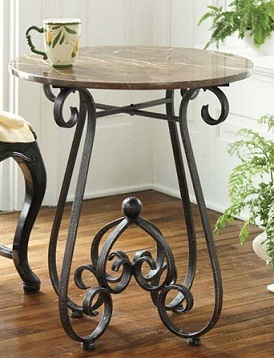 246542,RUSTIC BLACK ACCENT TABLE WITH MARBLE TOP. DECORATOR TIP - Place this charming accent table in your foyer or livingroom and decorate it with a vase of fresh Cut flowers grown in YOUR Garden! 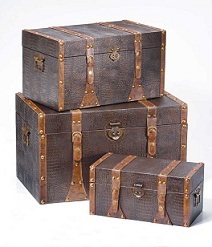 DECORATOR TIP - Store magazines, knitting or other hobby related items in these trunks and place them in the room you preform these tasks. Stack all three together in the corner of the room. 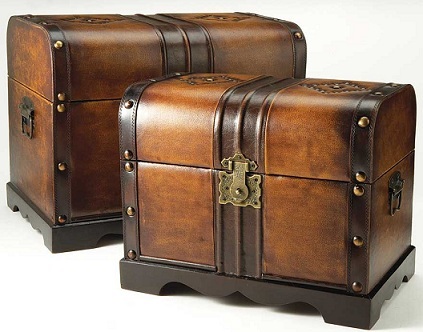 DECORATOR TIP - These trunks are gorgeous with so many details! Family Room or as a night stand in a bedroom. DECORATOR TIP-Use this shelf in a corner of a small room such as a bathroom or guest bedroom for decorative accessories or toiletries.